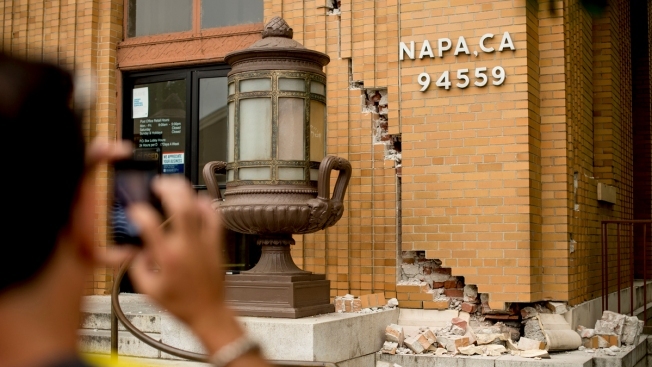 President Barack Obama on Thursday declared the Napa earthquake a major disaster, releasing emergency federal funding for California, nine days after Gov. Jerry Brown requested it. 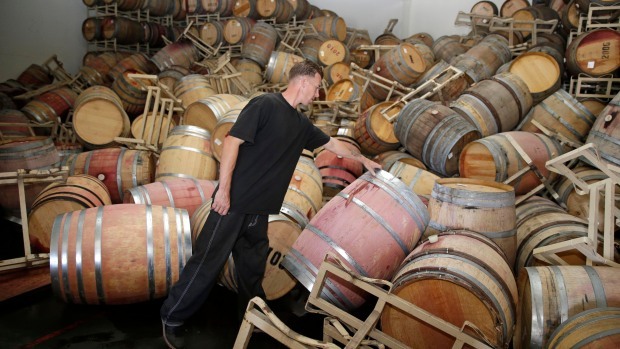 The calls were received between 3:20 a.m. on Sunday, Aug. 24 -- the time the earthquake struck -- and 4 a.m., and included citizens reporting the earthquake, power outages, a gas leak from a fallen helium tank and a person stuck in a lift chair due to household debris on the floor. A call that came in at 3:23 a.m. involved a heart patient trapped inside an apartment by household debris. “I can’t get out of my apartment. There’s stuff in front of both doors. I can’t move them…. I’m worried about my heart," the caller says. Fear, shock, confusion, panic -- the calls offer a personal look at what went on in the minds of the quake survivors as 911 dispatchers tried to calm them or offer information in the aftermath of the largest earthquake to strike the Bay Area since the 1989 Loma Prieta quake. Napa police released the audio recordings of calls placed to the City of Napa's 911 dispatch center in response to a Public Records Act Request from NBC News, redacting names and contact information of callers to protect their identity. A number of the calls were related to minor injuries -- including cuts and bruises -- but there were also some serious ones, including a report of a seizure and a fire at a mobile park. "It's a one story. It's a mobile park ... no one's trapped except their cat so you got to get here," the caller can be heard saying. A natural gas pipeline fire erupted at a mobile home park in Napa shortly after the earthquake struck, destroying four homes. The earthquake claimed the life of a 65-year-old woman who suffered a head injury when a television struck her at her Napa home on Mayfair Drive. The Napa County Sheriff's Office identified her as Laurie Anne Thompson. Thomson did not end up going to the hospital until the next day when she felt dizzy and experienced a decline in mental function. She died Friday of an intracranial hemorrhage. The earthquake did not claim any other lives, but left more than 200 people injured, though most of them were released from hospital the following day. The most common injuries were from household items falling off of walls or shelves onto people or from those who stepped on debris in their homes, as apparent from the 911 calls. A woman can be heard crying on another call. “I’m not injured but I can’t get out of my room ... I’m scared ... I feel like I’m going to throw up ... I can’t call my daughter. My phone doesn’t work either," she tells the dispatcher. "I’m going to let the fire department know that you’re there," the dispatcher says. "You need to take long deep breaths, it's going to be OK ... at any point If you need us, call us back." NBC's Brian Lavietes contributed to this report.